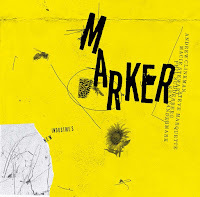 Free Fall is a trio of Ken Vandermark, Havard Wiik, and Ingebrigt Haker Flaten on clarinets, piano and bass respectively. The trio, apparently modeled after the early 1960s Jimmy Giuffre's Trio with Paul Bley and Steve Swallow, has delivered a challenging and sophisticated effort that reveals itself more with each listen. 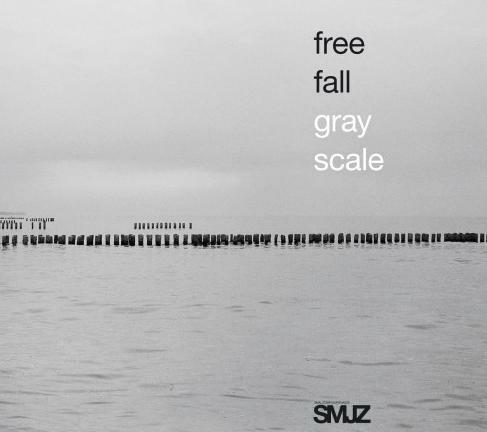 The albums cover, a stark grey scale image of a pier stretching into the water is iconic for the music within. The depth and interconnectedness of the music increases as you wade out further into the abstract melodies and harmonies. This is music with sharp angels and twisting contours, and its contrasts can both attract and repel, tantalizingly so. 'Lividus' begins quietly, with squiggles of clarinet, splashes of piano and punches of bass. Soon, the sound becomes denser, if not less diffuse, and the clarinet expresses a great range in its melodies. 'Griseus' is more percussive, the clarinet bleating, bass slapping and piano runs providing abstract but purposeful harmony. 'Ravius' showcases the subtle, low hushed tones of the bass clarinet with sprinkles of piano and atmospheric upright bass as the tune builds, slowly revealing more textures. The 8 plus minute 'Cinerius', to me, is the centerpiece of the album. 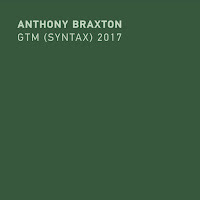 Freely melodic clarinet runs are contrasted with abstract ramblings by the piano, and dark underpinnings by the bass, only later to explode into a controlled but devastating burn. Here, as in the other songs, the seeming independence of each player is actually very much interdependence and together they cohere into something very free and exciting. Gray Scale is a provocative name, and at times the music reflects stark atmosphere of cover but transcends it as well with colorful musicianship and daring explorations. 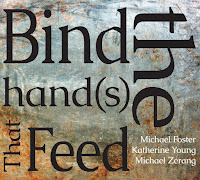 Though not an easy album to digest on the first pass, it leaves a lingering taste and compells repeated listening. Sorry to be pedantic but Jimmy Giuffre never had a trio with Gary Peacock. The famous trio was Jimmy, Paul Bley and Steve Swallow playing in those days .... acoustic bass. 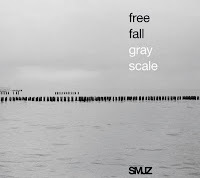 Free Fall refers to the trio's final album, a complete milestone in improvised music. As one critic said about the album (something along the lines of) 'absolutely nobody was prepared for this', and sadly the trio folded after a gig somewhere in New York where as Steve Swallow explained, "We disbanded on a night we each made 35 cents." Jimmy realised that they were (at the time) fighting a loosing battle and almost went into a sort of semi-retirement. A sad but true story, and a trio that has still not had the respect that it's due. I should add that if you don't know the album 'Free Fall' by the Jimmy Giuffre trio then you should immediately get a copy as this album. If one had to rate it on a blog such as this it would get at least 10 stars, as already mentioned it is 'the album' and musical statement. No free jazz lover would be without that album in his/her collection! I had never heard that story before. Man, that's sad. I completely second your opinion of "Free Fall". It's one of the classics. People who read this site would especially appreciate it. joesh, thanks for the note on the Swallow. I knew it, but then I wrote it differently. I noticed that Free Fall is available through emusic, so I'm going to download it asap. Thanks! Yes, I hope you enjoy it, just an awe inspiring piece of work. If you enjoy that I can say that nearly anything the trio did is worthwhile looking up. in fact there's a wonderful live CD on HatHut (if it's still available) with their European tour - just before the break up of the trio. Of course the other trio stuff is very worthwhile listening to also, there are several periods, but best to not go into that here. However one other piece that I find very wonderful is a piece (or is it two pieces?) that Giuffre recorded with an orchestra. The pretext for the two compositions is quite simple 'Piece for Clarinet and String' is written and 'Mobiles' is improvised. Most fascinating, and actually quite beautiful also. "It was at Lenox that Mr. Giuffre first encountered Ornette Coleman, a scholarship student at the school in 1959. Mr. Giuffre was knocked sideways by Mr. Coleman’s conviction and freedom and had a sort of ecstatic transformation." It's quite simple really concerning Giuffre's development towards this style of music, almost 'chamber jazz'. Firstly one has to look at what he was doing beforehand, that means all the other stuff. He had already developed his trio but with other formations - Guiffre + trombone/guitar, or Guiffre + bass/gtr ..... always without drums! Of course there are also his even earlier years arranging (and playing) with Shelly Manne's big band. Then there is all of his arranging work with orchestras, and Lee Konitz etc. Off course add into that mix 'Ornette', the period 60's, an educated musician who listened and understood a lot more than I Got Rhythm .... American folk music, contemporary classical music, the so called third stream, and plenty more, and you see how he gradually arrived at this group. And what makes it even more interesting is that he stopped playing his saxophones and concentrated just on clarinet. Much later (70's) he added back the soprano sax. Anyhow, one could write a book on Jimmy Giuffre the innovator, and also teacher (at the NEC), but that's for later. In the meanwhile one should not forget the album reviewed by Paul. 'Free Fall' is an excellent group and their earlier albums are also very highly recommended, there's even a double live CD floating about somewhere .... although it may be a bootleg! @ Polish Jazz: '1961' was originally recorded for Verve as two separate albums: Fusion & Thesis. I don't agree with you that this was still conventional cool jazz. Graham Lock wrote an interesting article which he based on an interview he had with Giuffre in 1988. It's published in his book 'Chasing the vibration'. "Well, I got into the free jazz." Long pause. "And I didn't use any drums." Long pause. "So- some people didn't think it was jazz." Ah, Someone must have called the Jazz Police. "I started with Fusion, then Thesis, the I let everything go on Free Fall - there's no time, there's no key, not metre. "I wasn't copying Ornette or Cecil Taylor. I mean, I got something from them, but my music- my approach has never been fitting for what other people are doing. I don't know whether it's good or bad or what, but I've always tried to put my stamp on it - playing and writing. "Free Fall, that group sort of evolved from - Paul and Carla were always after me to write more abstract music - "He hesitates a moment, suspicious of the terminology - "Well, call it abstract." Free Fall's album The Point in a Line is also excellent. album that premo mentioned "point in a line", which judging from the clips sounds really nice. They also have an album by Free Fall called Garden of Depression. It sounds like really terrible heavy metal, so I'll guess this is a different band. 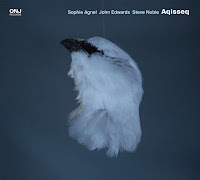 Free Fall is not not the first trio to explore the legacy of the Giuffre/Bley/Swallow Trio. 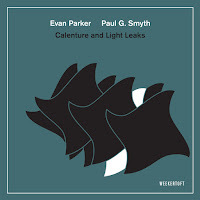 Paul Bley/Evan Parker/Barre Phillips (Time Will Tell & Sankt Gerold, both on ECM) and the Michael Moore Trio with Fred Hersch and Mark Helias (Chicoutimi, Ramboy) are also highly recommended. Yes, the Michael Moore trio with Chicoutimi is particularly recommended, another 10 star album if there ever was one! In fact he - and his group - did several albums worth checking out which all took ther lead from Giuffre, whom I think Michael Moore studied with (?). 'Thirteen Ways', 'Bering' and 'Focus' all looked at the trio in different lights - 13 ways had drums on it instead of double bass! There was also one with Marilyn Crispell and Gerry Hemingway which I never heard, but it looks interesting. They're all worth tracking down; but then again so is most of Michael Moore's stuff.